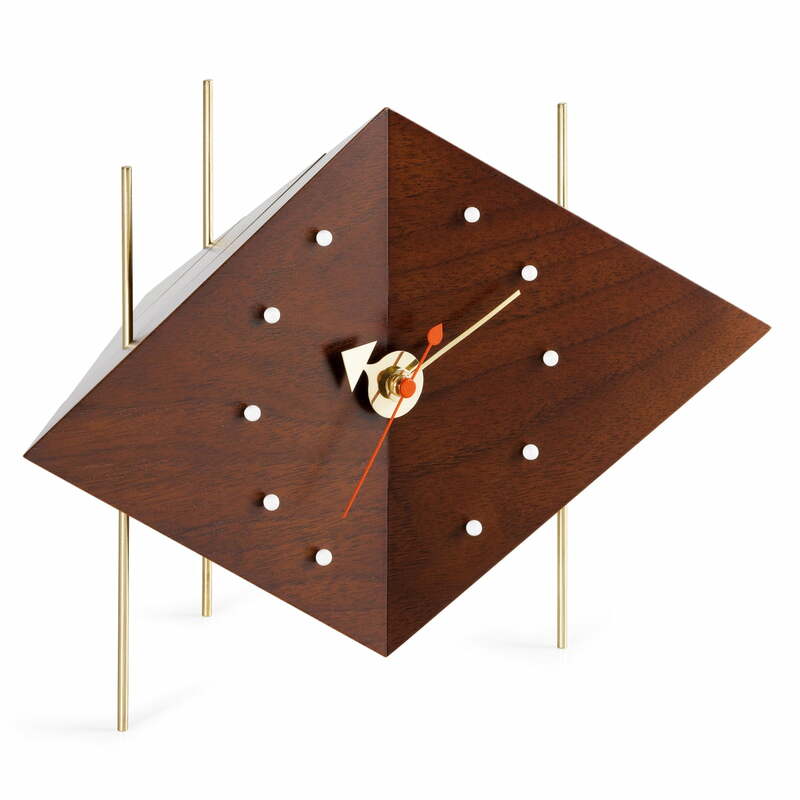 The designer George Nelson already designed table and wall clocks for the Howard Miller Clock Company, catching the lifestyle of the 50s and 60s. Selected designs of that time are now re-edited in the Home Complements Collection by Vitra. The Georg Nelson wall clocks renounce numeric dials. This characteristic is responsible for many Nelson clocks to get a special shape, like the one of the Diamond Clock. The sculptural table clock is a re-edition close to the original. It convinces by sophisticated material processing and sculptural charm. The body of the distinctive table clock is made of walnut. All the Vitra clocks from Georg Nelson are produced with a high class quartz clockwork.